It was a very chilly winter morning when I read a newspaper report of the passing away of Dr Tulsiram. To be honest, I had never heard of him till I read his obituary. Then, I overheard some of my colleagues in college discussing him and grieving at his untimely death. I was intrigued by some of the stories I heard about this distinguished person. Dr R. B. Maurya, from the Department of Political Science, loaned me his personal copy of Dr Tulsiram’s autobiography. There it was – the admirably written life story of a remarkable man. Since my interest is in world literatures in English, I know very little about Hindi literature, and books written in Hindi. So this proved to be a double bonanza for me: The life story of a spectacular person, and such a vividly written book in Hindi! It was with a great sense of trepidation that I started reading Murdahiya, on account of a lack of confidence in my ability to read such highbrow literary Hindi, which, nevertheless, faithfully reproduced the dialects of the rustic Uttar Pradesh hinterland. But once I embarked on this curious and strange journey of my very own “discovery of [an] India” so alien to my upbringing, there was no turning back. The very first sentence of the preface captured my imagination, which explained the reasons for Dr Tulsiram choosing this extremely startling title, “Murdahiya”, for his autobiography: all routes to and from Dharampur, Dr Tulsiram’s birthplace, had to pass through this cemetery. Thus, this murdahiya inadvertently dominated the lives of the surrounding villagers, while at the same time denoting and reflecting the immense desolation and bleakness of their existence. 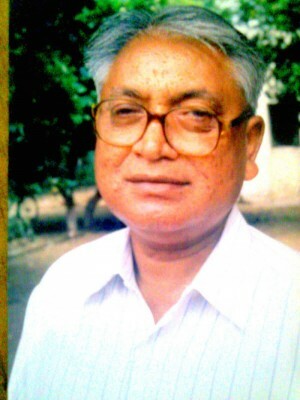 The ugly caste discriminations, the exploitation by the so-called higher castes and the abject poverty of his own origins are obviously the chief reasons that Prof Tulsiram regarded his early life as a metaphoric murdahiya, but what is so admirable about the narration is the total absence of any dark and pessimistic tone. There is no whining or self-pity, or any kind of mud-slinging on the oppressors – only an objective presentation of the reality, stark and raw, in its often gory details. It is in a very simple, straightforward and matter-of-fact manner that he exposes the double standards, hypocrisy, deeply embedded corruption so rampant in the very fabric of our social organizations and culture (or mostly the lack of it!). The experiences that he had to undergo, because of the misfortune of being born into a so-called low-caste family, are horrifying to say the least. He successfully bares the ugly underbelly of our caste-ridden society. This book proved to be a shocking eye-opener to someone like me, who is a contemporary of Dr Tulsiram, but who, unlike him, had the advantage of being reared in a totally westernized environment, in a secure and financially comfortable family, in what was then called Bombay (now Mumbai). I was cocooned from and oblivious to the harsh caste-based politics and its ugly consequences on lives elsewhere in the country. The academic milestones achieved by the author almost closely tally with my own, year by year. But what a seemingly bottomless chasm divides our lives! I am awed by this vividly narrated account of the utterly poverty-stricken environs of his early life. 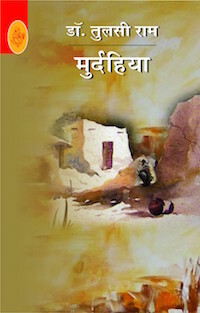 It is the sheer horrors of endless famines and their consequences, combined with a quiet acceptance of being considered “untouchable” and “unlucky” that make this journey of this determined man spectacular and, at the same time, exemplary – a journey rising from the graveyard-resembling life of Dharampur, through the literal, symbolic burning ghats of Benares, finally culminating in a leadership position in the famed Jawaharlal Nehru University. I am truly grateful to Dr R.B. Maurya for introducing me to the life of such a remarkable and accomplished personality.